I Will Offer Options – Newley retired? Empty nester? Widow/widower? Any of these transitions can precipitate a huge change in lifestyle, with many adjustments and decisions – only one of which is where to live. As a senior specialist I will listen to your concerns and share potential solutions and resources to help make your decision. By focusing on seniors, I understand which properties on available to meet your needs as well as having knowledge and resources to assist with a move or to help you stay in your home. I understated that major life changes are never easy and will not shy away from the difficult topics or difficult emotions that accompany these decisions. I I know your priorities change when your life changes. I can help you find the solutions to make a smoother transition. 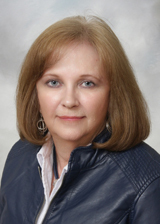 I am a full-time Realtor® licensed to sell Real Estate in Iowa since 1989. I truly enjoy my profession and the friends I have made along the way. I am also a SRES Senior Real Estate Specialists with skills to guide the Senior buyer or seller through the process and to assist with your existing housing by offering suggestions and ideas to help you with the sale or purchase of your new home or condo or offer you options to stay in your current home. Proudly serving Des Moines Metro Area. • CHMS - Certified Home Marketing Specialists. We were very lucky to have Nancy as our realtor. She understood exactly what we needed and found the perfect home for us. She is absolutely the best! I have listed two properties with Nancy Laxton and have been very happy with the results. She is very detailed oriented and explains the process each step. I highly recommend Nancy Laxton.